LeEco a Technology Giant and a leading content provider recently launched its Television Series in India. The Televisions which was launched are Super3 x55 (55″ inch TV) Super3 x65 (65″ inch TV) and Super3 x65Max (65″ inch 3D TV). LeEco has launched all the 3 TV’s with 4k video playback capabilities and as usual, the Price is disruptive.The LeEco Super3 X65 is priced at Rs.99,790/-. Compared to the top manufacturer in India the Price is really Low and You get LeEco Membership as well which is mentioned down below. Recently We got the Super3 x65 a 65inch Television. The TV is really Big it redefines what Super entertainment is. During the first boot, the TV shows a 15 Sec Boot up Animation which is a LeEco Logo Animation. After the first boot, you are presented with a screen which asks for WiFi password post entering the WiFi Password you can sign up for the LeEco Membership from TV itself using your remote. The Remote is designed minimalistic the remote doesn’t have the number keys and contains only the required keys as The Digitalisation is made compulsory the cable operators have been forced to offer dish and with their dish comes a separate remote so LeEco took a great step in reducing the size of remote and offer variety of function in the remote itself rather than including those number keys. The Remote for Super3 x65 contains a Gyroscope and accelerometer which simulates the moves on the screen as you move the remote. This enables you in easy navigation and works like a pointing device for the Big Screen. The TV has a simple user interface to navigate around easily. apart from this the Stand of the TV is designed in such a way that it looks like it has come from the future. The stand is sturdy and Heavy too but then it handles the Television well. I really liked the Yoga Design of Stand it just adds to the beauty of TV and no other manufacturer offers such Type of stand. 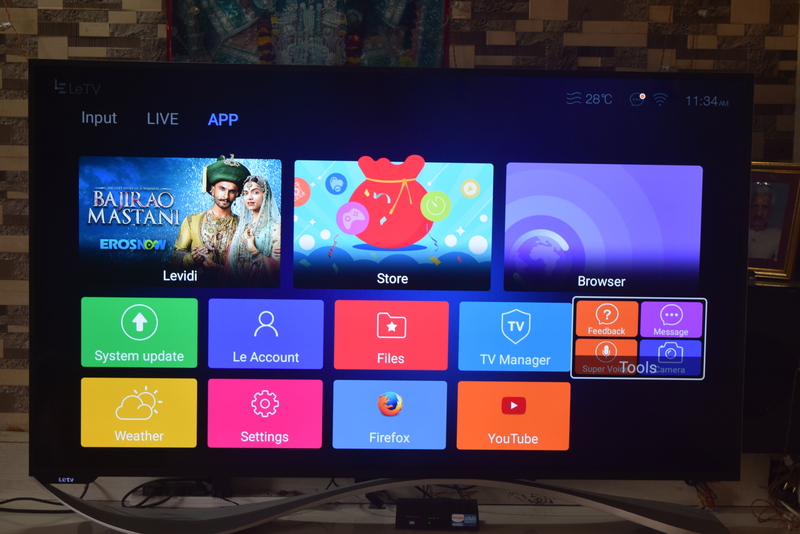 The TV runs on customized version of Android 5.0 with Ecosystem User Interface (EUI) Running on top of it. The Super3 x65 comes with 3GB of Ram and 16Gb of internal memory. With the connectivity option on the TV, I guess storage won’t be a problem. As far as the performance is concerned we can only say about that once our full review is complete. The Super3 x65 offers plenty of connectivity options so that you never run out of connecting your favorite devices. Also, Panel is so thin I really can’t differentiate the screen and the panel. The Beauty of the TV is not only when it turned on but also when it’s in standby mode. The screen color gels wells with the panel color. The Logo and IR Sensor are placed well on the front of the TV. When the TV is in Standby mode the LeTv Logo is Lit up and Looks really cool. The TV Does require a plenty of space as it is 65inch one, of course, you need to plan well before you buy this Gorgeous. The Super3 x65 has plenty of Apps inbuilt and you can download more from the Le Store as well. The Le store is just like the play store but again a customized version for the TV. LeEco didn’t forget to add its Content on the TV, The TV comes with LeVidi which shows over 150+ channels powered by YuppTv. You can also watch some of the latest movies in the TV powered by Eros now. So you are not just buying a smart TV you are buying a complete entertainment package along with the TV. At the moment content subscription is not that common concept but it will be as most of the New emerging organizations are opting for it. The Display and Colors are pretty well from the TV but not that great when compared to higher priced 4K displays. But the TV does justice with the price you are paying for and the TV offers a pretty decent picture.The screen does deep blacks and vibrant colors. The inbuilt WiFi and Bluetooth adapters are pure bliss for entertainment purpose. some time back I had to plug-in separate adapter for Bluetooth and now I have it inbuilt in the TV itself. A noteworthy feature is that the Remote of the TV has a Mic inbuilt in it which at present is in development mode but in near future, you could be able to control your TV with just your voice or maybe you can just type and navigate with your voice. possibilities are unlimited only future will tell us what the Mic feature would bring. 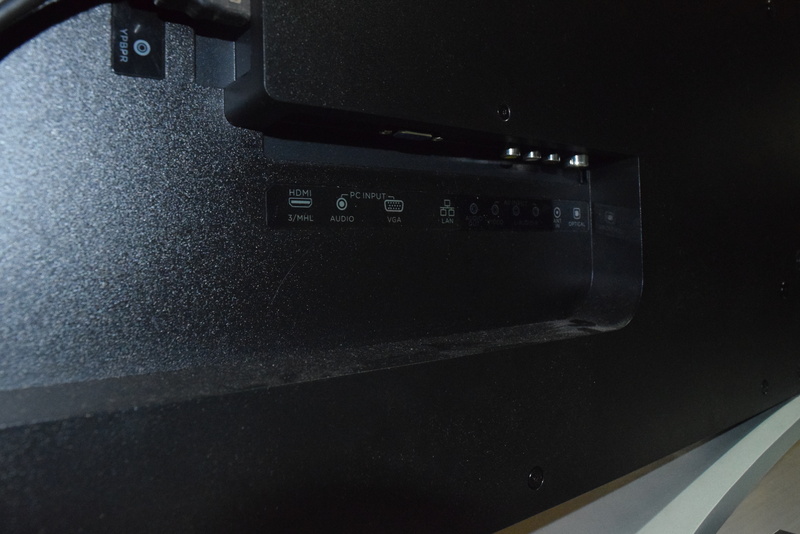 The Sound output from the speakers is low when the TV boots and Boot animation is shown. Once the boot is finished the Speakers are like on the EDM Mode. They rock up the whole place. The output from them is amazing and Bass from the speaker is great considering it a TV Speaker. There are 6 speakers on this Super TV along with the Dolby and DTS Sound certification.Apart from this, the LeEco TV comes with a warranty of 2 years for the spare parts and 4 years of Panel warranty which ensures you have no worries about your Super TV. The TV is so huge that it gives me a Theatre like feel in my home itself and bundled with LeEco Membership all the movies and my favorite TV channels are at my fingertips. Also Even if I don’t have any DTH or Cable connection I have some of the channels which I can still be able to watch live because of the bundled membership. LeEco Super3 x65 will be available online through flash sale way. You need to register so that you can buy the TV online. These super TVs are the first ever TV to be sold online via Flash sales. Super3 TV has already crossed a milestone by becoming No.01 Best-selling TVs via online on its 1st pre-sales day. 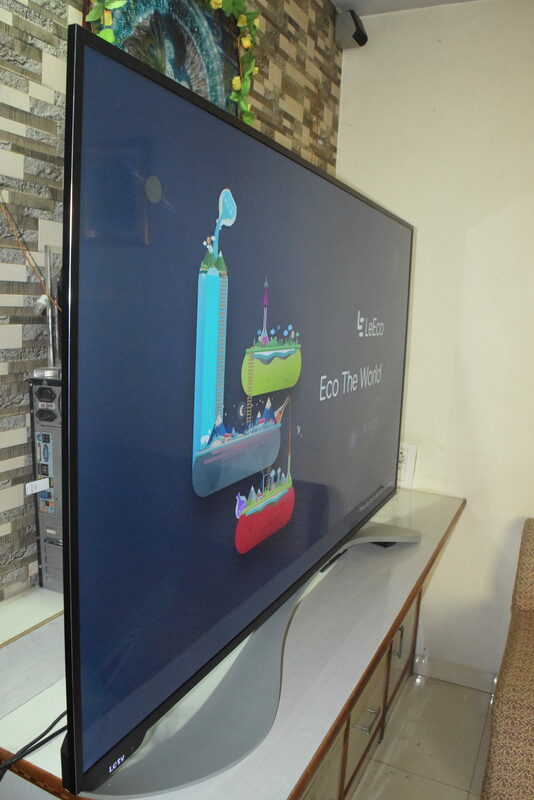 This Smart Gigantic Smart Android TV would be available online through Lemall and Flipkart. 16th JULY the next big launch date for Xiaomi!! !